​Crystal Palace have had a number of players competing for their countries this week, some playing a greater part than others as their nations look to qualify for their respective continental tournaments next summer. Though only one got on the scoresheet during the international window, a few of Roy Hodgson's cohort were impressive, boosting their prospects of future involvement. However, a handful will have been left frustrated by a lack of game time, with some failing to get on the field at all. On-loan Chelsea striker Batshuayi featured more prominently than most of his Palace counterparts, starting both of Belgium's matches for the Euro 2020 qualifiers. The 25-year-old played second fiddle to Eden Hazard during the Red Devils' 3-1 victory over Russia as the latter stole the headlines with a neat double. However, he did strike the post late on in the encounter before inadvertently teeing up Hazard to seal the points. Batshuayi did manage to find the net in the following game, doubling his team's lead on 18 minutes during a routine 2-0 win away to Cyprus. Benteke didn't make an appearance over the international break, finding himself resigned to the bench as Roberto Martinez favoured his Crystal Palace teammate. That outcome reflects the situation at Selhurst Park of late, with Batshuayi likewise keeping the hitman out of Hodgson's lineups since arriving from Stamford Bridge in January. The Dutchman is another who was afforded no minutes on the pitch by his coach. He was an unused substitute as the Netherlands thumped Belarus 4-0 after a brace from former Manchester United forward Memphis Depay and a goal each for Liverpool duo Virgil van Dijk and Georginio Wijnaldum. Though they won that qualifier, the Oranje fell to a 3-2 defeat at home to Germany in the next match, Van Aanholt watching on from the substitutes bench as a last-gasp Nico Schulz effort nicked it for the 2014 world champions. The youngster was tipped for a call-up to Gareth Southgate's senior team after enjoying a stellar year at Selhurst Park, but ultimately found himself included in the U21 set-up instead. Unfortunately, Wan-Bissaka had to pull out of fixtures against Poland and Germany due to an unspecified injury. The side didn't fare well without him, drawing the clash with the Polish before losing 2-1 against Die Mannschaft. Zaha missed the FA Cup quarter-final at Watford due to a hamstring strain, with that injury then preventing him from playing for his country this week. The 26-year-old trained with the squad before their Africa Cup of Nations qualifier versus Rwanda on Saturday, a match they comfortably won 3-0. 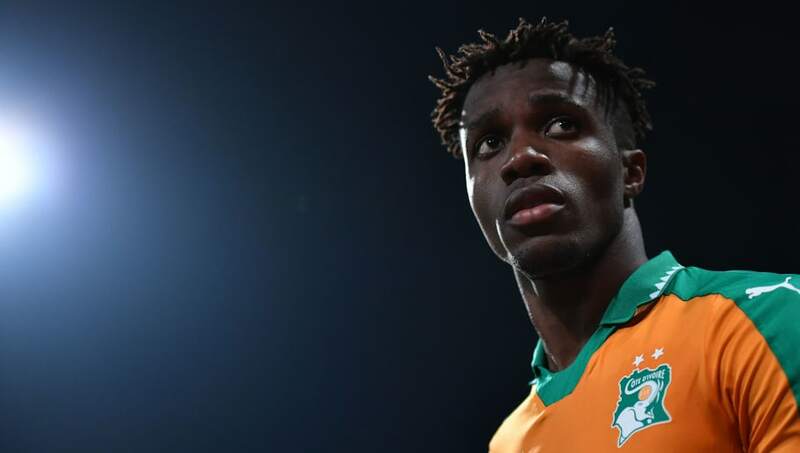 However, he was deemed not fit enough for the game, being sent back to south London by medical staff as the Elephants edged past Liberia thanks to a stoppage-time winner from Aston Villa's Jonathan Kodjia. Schlupp will be disappointed having been an unused substitute for Ghana, who had just one match this week. They saw off Kenya 1-0, the Palace defender remaining on the bench as the Black Stars secured their place at the tournament in Egypt this summer. Whilst Schlupp looked on, Ayew started alongside his brother Andre against the Kenyans, this being the forward's 53rd cap for his nation. The Palace man had a considerably quiet night for Ghana, failing to get involved in the play and generally finding himself starved of opportunities. He will undoubtedly hope for better in the future. Kouyate didn't feature during Senegal's 2-0 triumph over Madagascar, though he was selected n the starting lineup for their next fixture against Mali. The midfield powerhouse played a significant role in that 2-1 win, helping to snuff out opposition attacks and win back possession for his side. He was replaced with a quarter-hour left to play by Sadio Mane who managed to grab a goal for himself in the closing stages. Ryan Giggs selected Danny Ward in goal for the friendly with Trinidad and Tobago, taking the chance to assess his options in a number of positions on the pitch. Hennessey was preferred once Wales returned to competitive action, keeping a clean sheet and generally impressing as the Dragons overcame a tough Slovakia outfit.